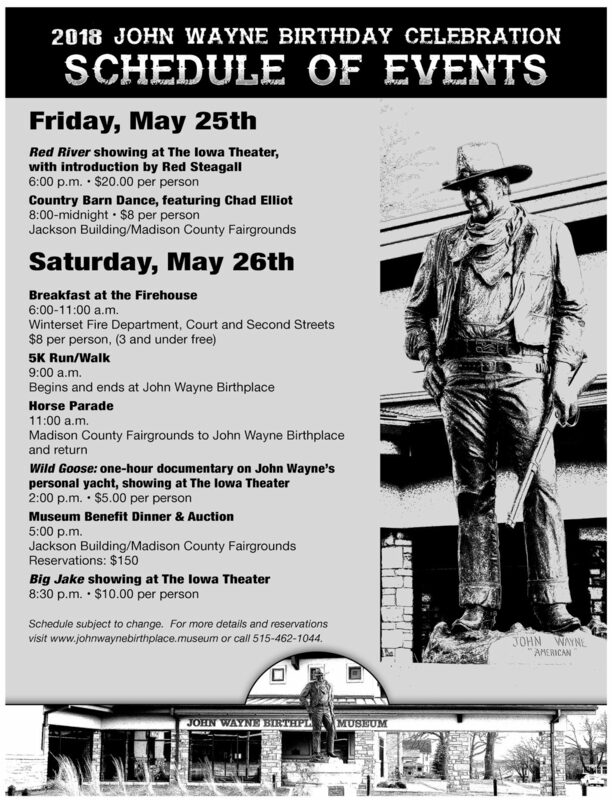 We cannot imagine a John Wayne Birthday Celebration without John Wayne movies so, in cooperation with Winterset’s historic Iowa Theater, we are presenting the venerable classic Red River (1948) on Friday, May 25th at 6:00 pm, and the action-packed crowd pleaser Big Jake (1971) on Saturday, May 26th at 8:30 pm. One of the finest westerns ever made, Red River features impassioned performances, stunning cinematography and adventure on a grand scale. 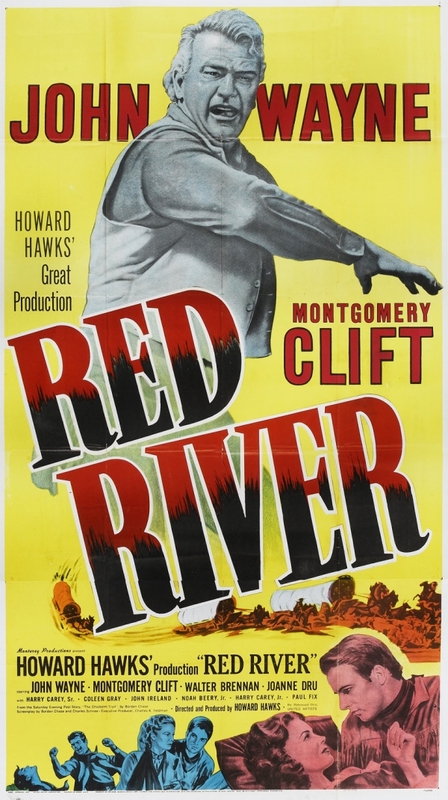 Special guest Red Steagall will introduce the screening of Red River! Starring John Wayne, Montgomery Clift and Walter Brennan, it’s a hard-hitting epic that captures the dangers of driving cattle up the treacherous Chisholm Trail. This special screening will be introduced by our honored guest Red Steagall. 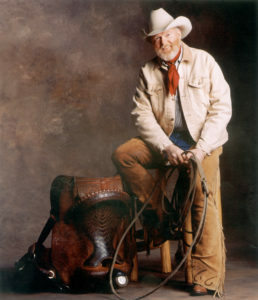 The multi-award-winning western performer will entertain with stories and songs of the great trail drives from the annals of his native State of Texas. 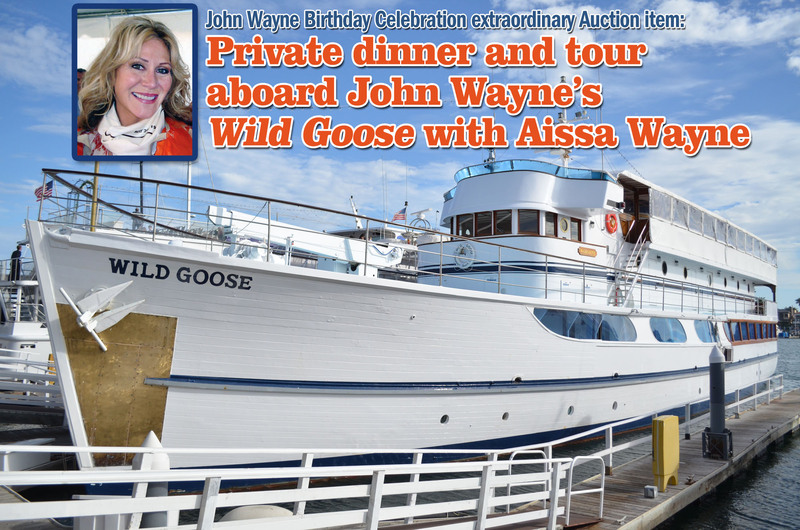 Since the John Wayne Birthplace Benefit Dinner on May 26th will be auctioning a private dinner for four with his daughter Aissa on board John Wayne’s personal yacht we thought we’d provide a little preview. The Iowa Theater will be presenting a superb one-hour documentary featuring an intimate and sentimental look at John Wayne at leisure on his beloved converted navy minesweeper, the Wild Goose. The film features home movies and loads of recollections of those who knew him best. 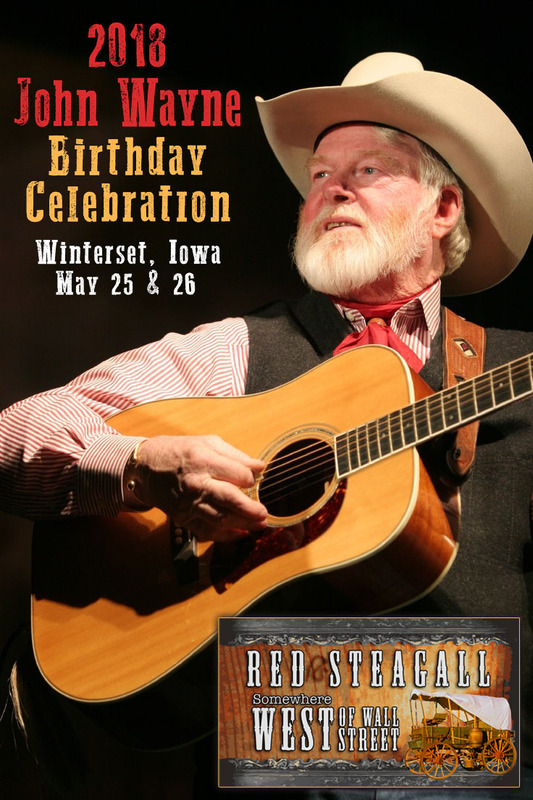 Iowa Theater, 2pm, Saturday, May 26th. Cost $5. 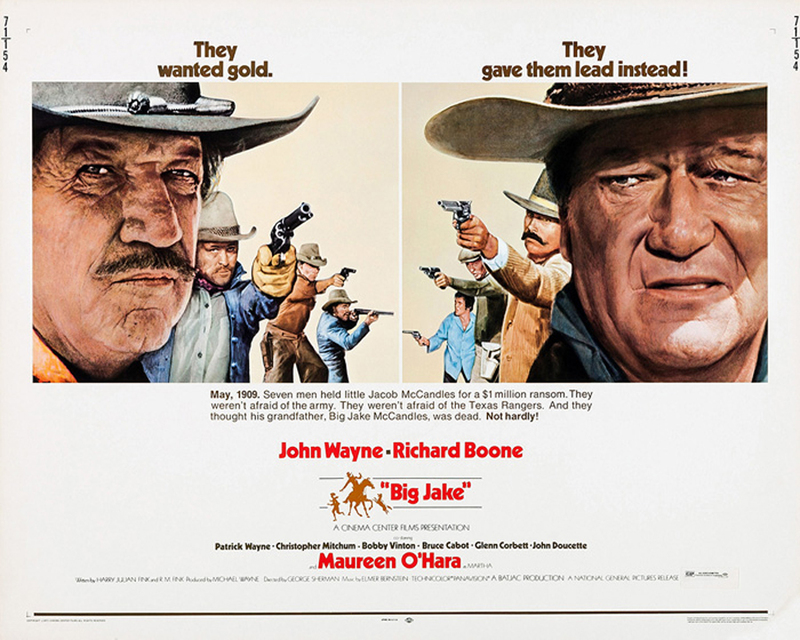 John Wayne stars as Big Jake McCandles, a husband who hasn’t seen his wife (Maureen O’Hara) in over 18 years. But he returns home after his grandson is kidnapped by a vicious outlaw gang. While the law gives chase in rickety automobiles, Jake saddles up with an Indian scout (Bruce Cabot) and a box of money–even though paying a ransom isn’t how Jake plans to exact good old frontier justice. Spiced with humor and first-class gunfights, this is a vivid depiction of the last days of the wild frontier. Advance tickets are recommended and can be reserved at www.the-iowa.com. Both screenings will benefit the not-for-profit Iowa Theater. 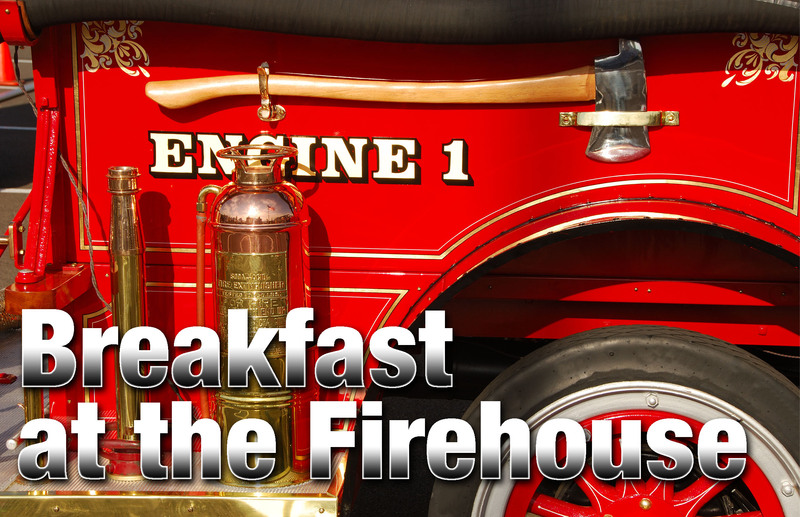 The Winterset Fire Fighters Association invites one and all to Breakfast at the Fire House on Saturday, May 26 from 6am-11am. 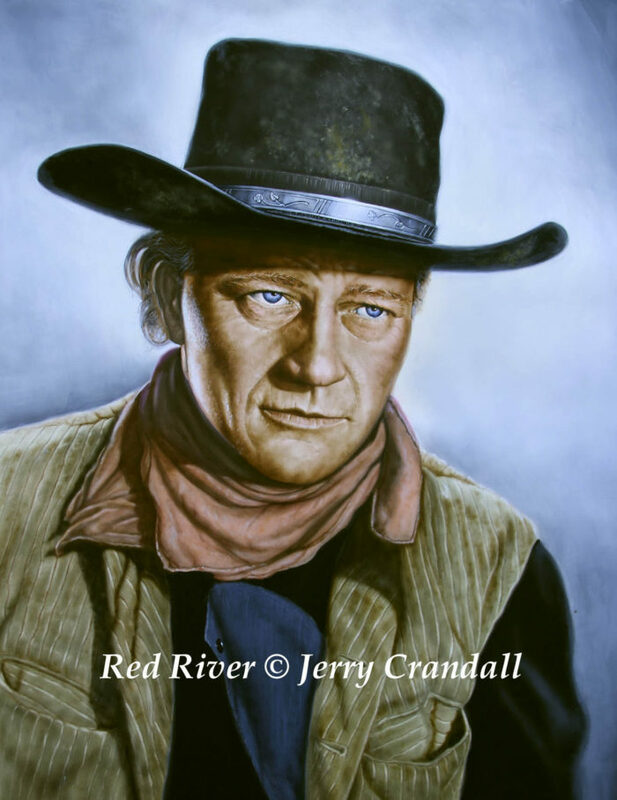 A John Wayne Birthday Celebration tradition, this popular event has been satisfying visitors and home towners alike since 2007. Featuring pancakes, eggs, sausage and beverages, the food is great, the service superb and it’s a real bargain at $8 per person (3 and under are free.) The firehouse is one block east of the courthouse square on Court Avenue. 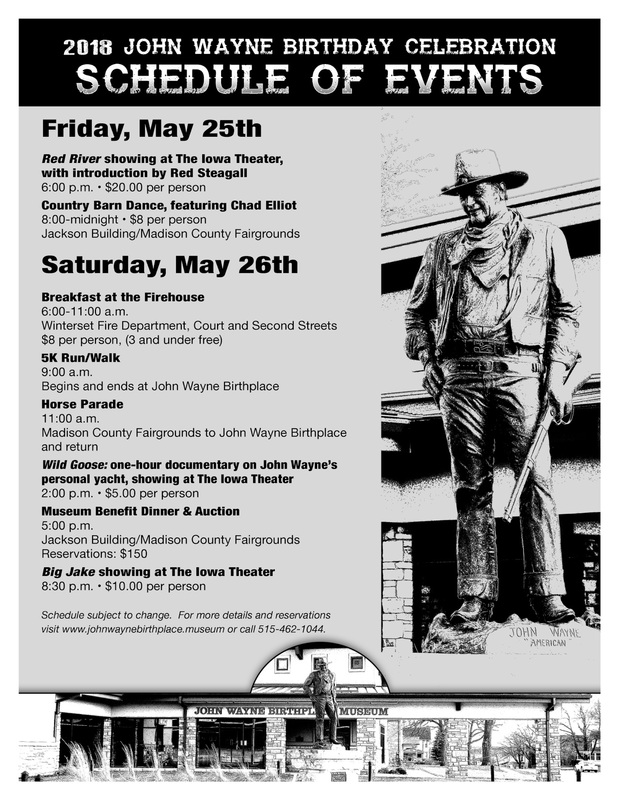 Another popular event is the John Wayne Birthday Celebration 5K Run/Walk at 9am on Saturday, May 26. The annual crowd-pleaser happens rain or shine and begins and ends at the Birthplace museum. 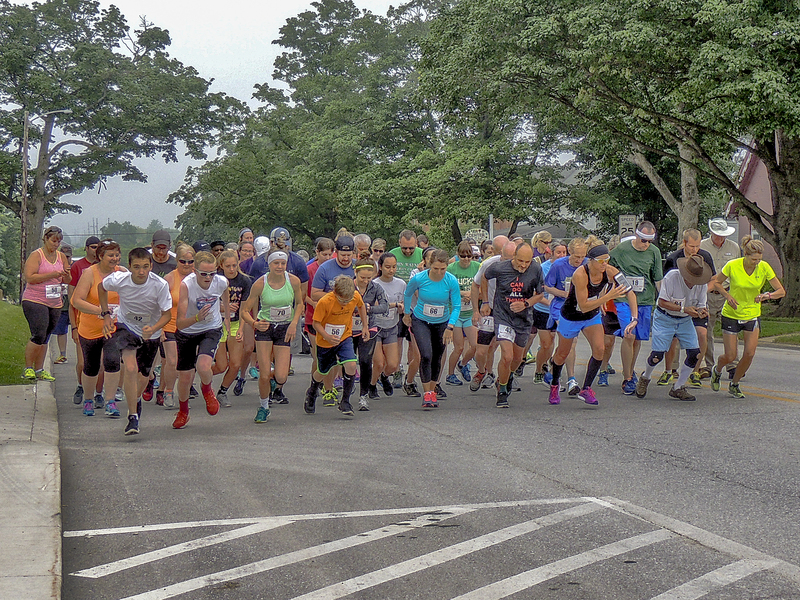 Register online at GetMeRegistered.com/JohnWayneRun or by mail with this printable registration form. 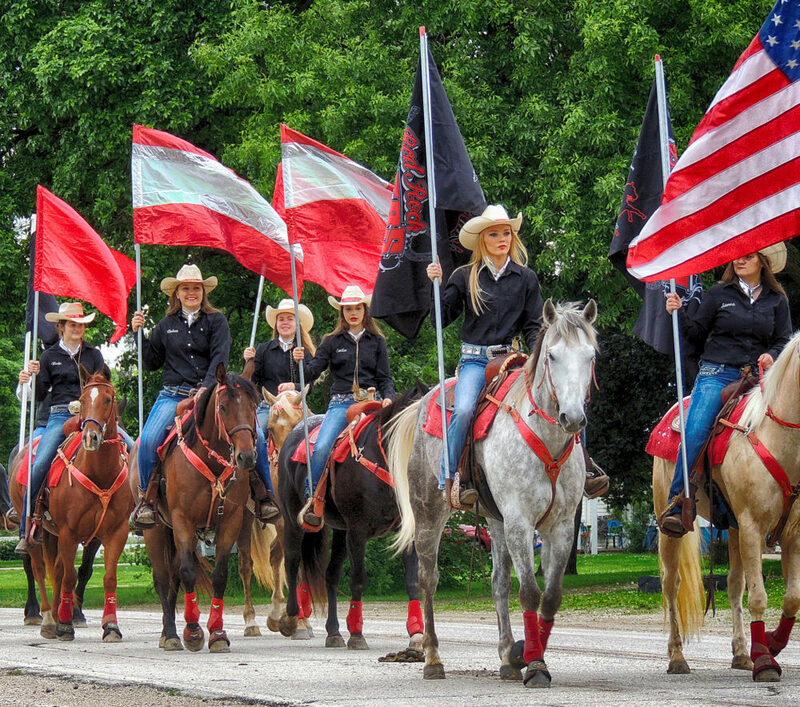 The John Wayne Birthday Celebration Horse Parade is fast becoming one of the premiere equestrian events in the Middle West. 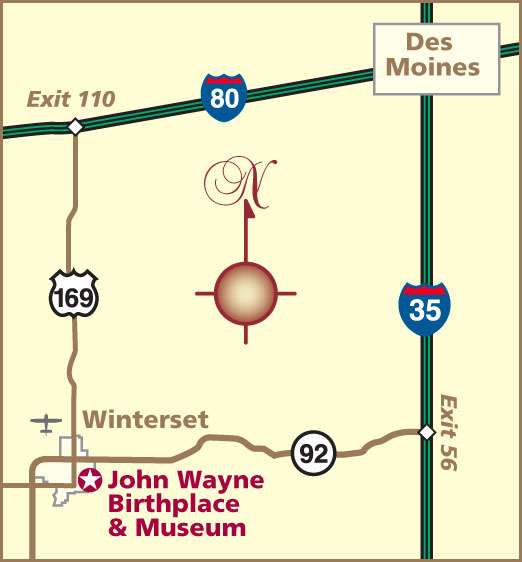 Led by the Winterset High School Marching Band, the cavalcade will include saddle and draft horses, mules and all manner of wagons, carriages and coaches. We are also expecting Mr. & Mrs. Red Steagall to be on hand to wave to fans along the route. 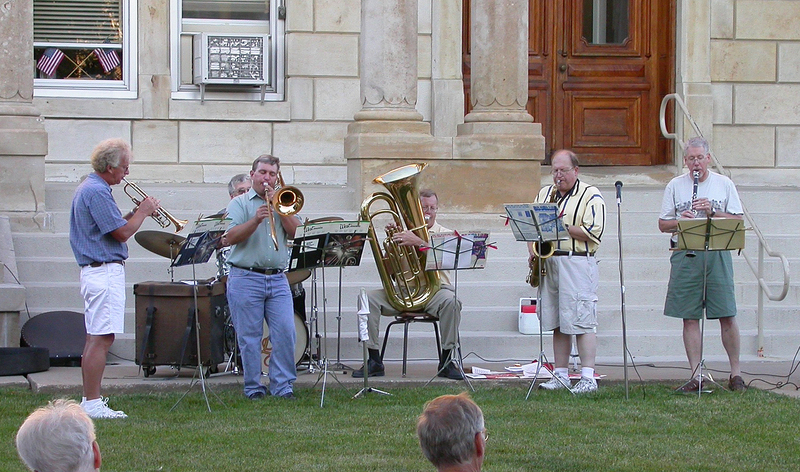 The John Wayne Birthplace is pleased and proud to present Iowa’s own “Anything for a Buck” Dixieland Jazz. The exquisite band, the best this side of Memphis–includes Birthplace board member Chris Nolte–and will be performing in concert on a float in the Horse Parade and immediately after in the gazebo behind the Birthplace home. We don’t hear a lot of Dixieland in Madison County so this will be a rare treat indeed. For many attendees of the annual John Wayne Birthday Celebration, our Benefit Dinner & Auction ranks at the top for excitement and enjoyment. It’s been selling out for years and no wonder. 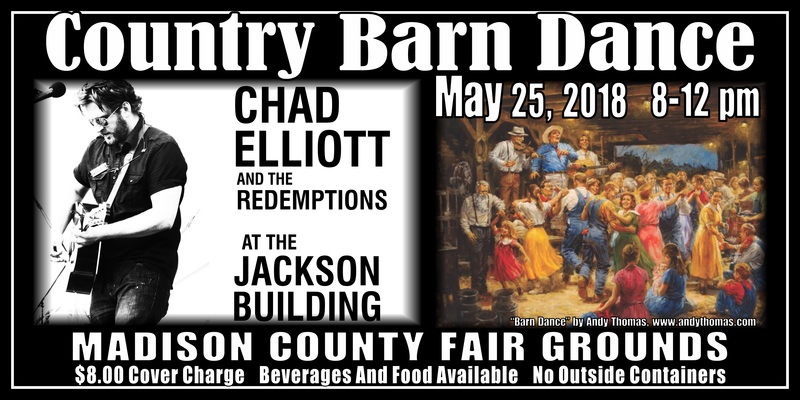 First class musical performances, great food and America’s most entertaining auctioneers, Jon and Chuck Garrison, who have raised upwards of $100,000 to benefit the John Wayne Birthplace & Museum. 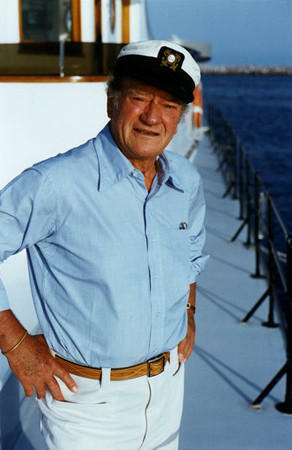 In cooperation with Hornblower Cruises & Events of Newport Beach, California, the John Wayne Birthplace Benefit Dinner & Auction is offering a private dockside dinner, cocktails and tour aboard John Wayne’s beloved personal yacht, the Wild Goose. The visit will accommodate (4) guests and will be personally hosted by Duke’s daughter, Aissa Wayne, and her husband Scott Conrad. Aissa spent much of her childhood aboard the yacht with her family and will share countless memories of her adventures with her father, his family and friends. The date of the dinner will be determined and coordinated by mutual agreement.